One of the best things I love about the East Coast is that how green it is. Summer months are just splendid. One drives through the highway and on either sides you have lush green forests, little creeks, streams and you come out with your picnic baskets, laze around the park, does not have to be a famous one, just an unnamed green patch to relax on. The best thing I like about this part of the world is the drive, especially on a bright summer day, light winds, the smooth roads, pure bliss. This week was special and good fun, P took me on a 4 state tour across the East-Coast, we started with Pennsylvania, drove down through the Chesapeake Bay across Delaware, such a pretty sight, we crossed downtown Baltimore. Many people do not like Baltimore, they say it is Industrial, kind of like a heavy city, there is nothing chic about the place. But I disagree, I just love this port city, has good food for sure. Moving south, we crossed into Maryland, pretty state, lush green, lovely houses a clear sense of affluence, comfort and then crossing on to Virginia, downtown Arlington is very office like but you drive further up, just past Arlington Cemetery and it is very pretty, further South Richmond has a character of its own, colonial town with Victorian Architecture, surely has some pretty sights to offer. The best of the lot is probably DC, wide avenues, imposing architecture, beautiful and inspiring memorials, refreshing water basins and what pretty parks. The best of the lot however, was Georgetown. Reminded me of Hampstead , London, pretty Victorian houses, just a wee bit smaller, hilly terrain, and a central high street, just like an English Suburb. To this P’s reaction was you never really are very from the British Isle. The best part about the week was all the blending greens, pleasing to the eyes, soothing for the soul. 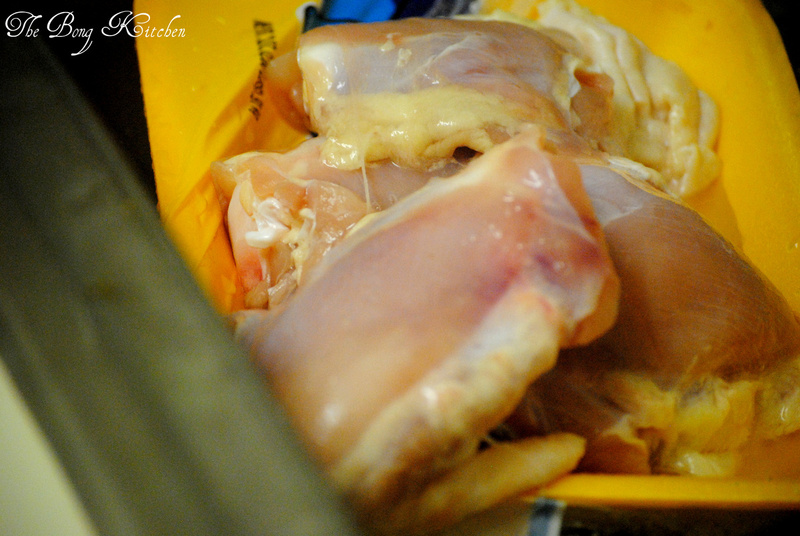 Start with cleaning the chicken and make a few slits. 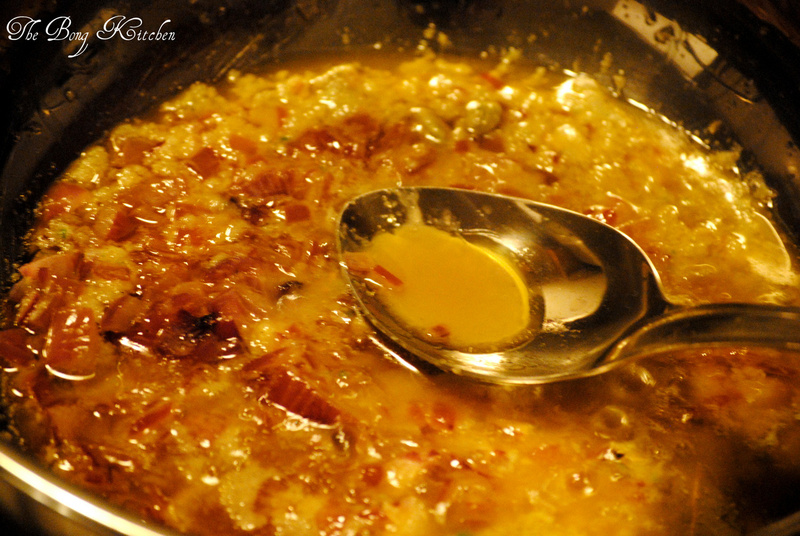 How heat a kadhai /wok with mustard oil and add the cardamom and bay leaf. Gently temper and then add the onion. 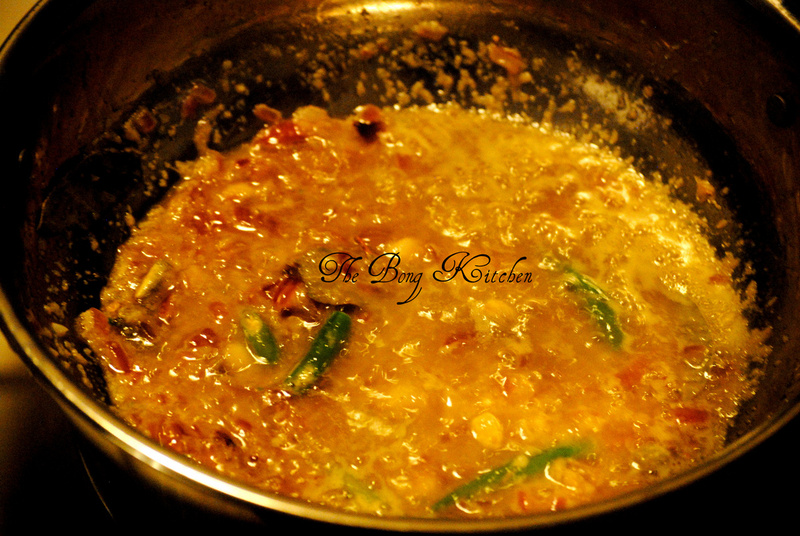 Saute, till the onions turn translucent and now add the ginger, garlic and green chilly paste. You could add the chicken before and then the wet masala but I like my gingergarlic paste well mixed with my onion, choice is yours. 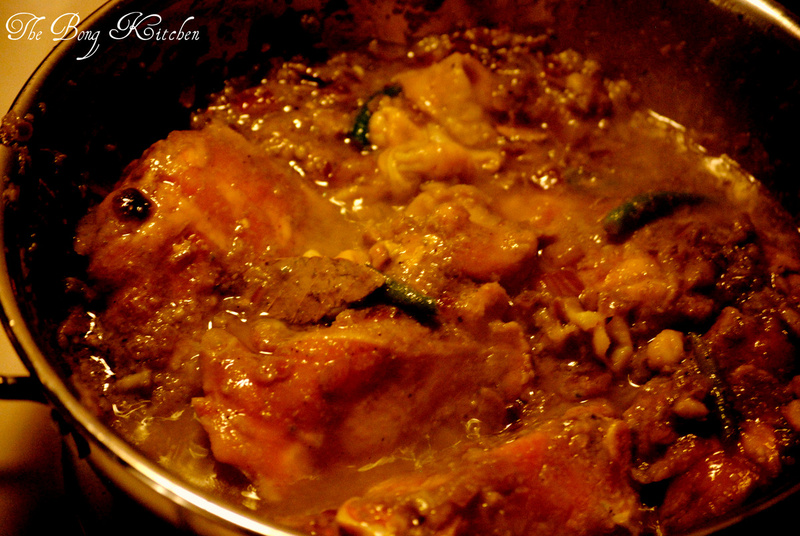 Once the wet masala blends with the onion and starts to emit oil on the sides, add slit green chillies and the chicken, along with the coriander leaves paste, the powdered masala and the salt. 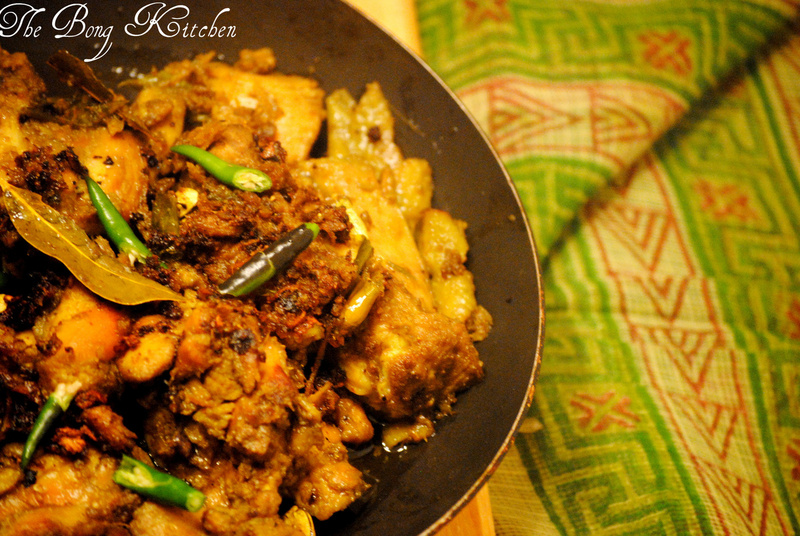 Let the chicken cook in medium heat with regular stirs ; this is called kosha is Bengali, cooking ( dry cooking the meat with spices). You may add ½ a cup of water, if you find the pan drying up otherwise, not required. Once the chicken is cooked with the masala coats the pieces properly, check if the chicken is hot and spicy, if too hot, add a teaspoon full of sugar, mix it well. 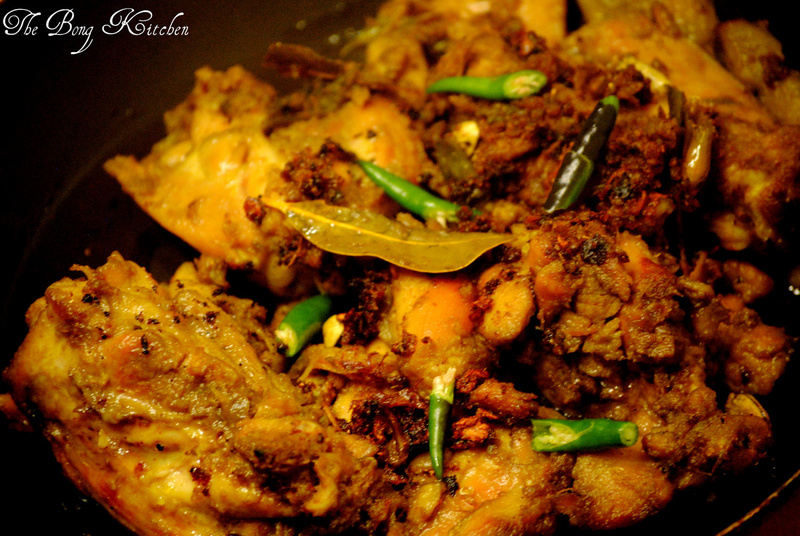 Garnish with chillies and serve with hot parathas. Arlington, on your East Coast sojourn, you passed minutes from me in Alexandria. Next time stop by for some chai !